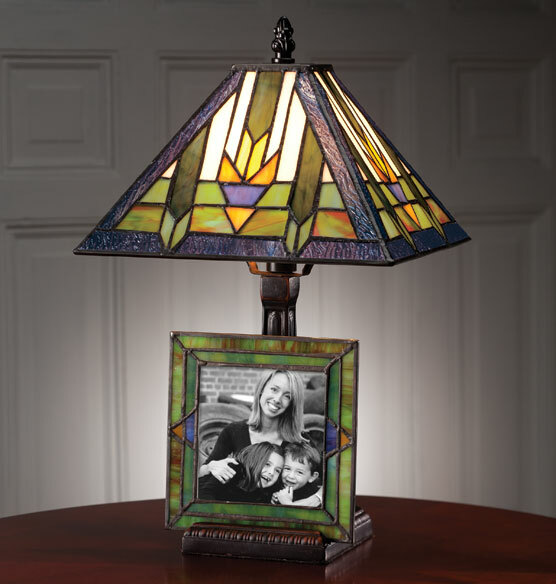 This colorful Prairie-influenced stained glass lamp comes with a coordinating photo frame that can display on the lamp itself or hang separately. The set’s vintage Arts and Crafts aesthetic is perfect for adding bungalow charm to a den or office. The bulb gives off a warm glow through the glass, creating a focal point on a desk or side table. Even when the bulb is not illuminated, the glass lamp is a stunning accent in the room. Mix and match the lamp and frame placement to create a look that is all your own. My home is was built in 1912. I'm trying to decorate in the Arts & Crafts style. 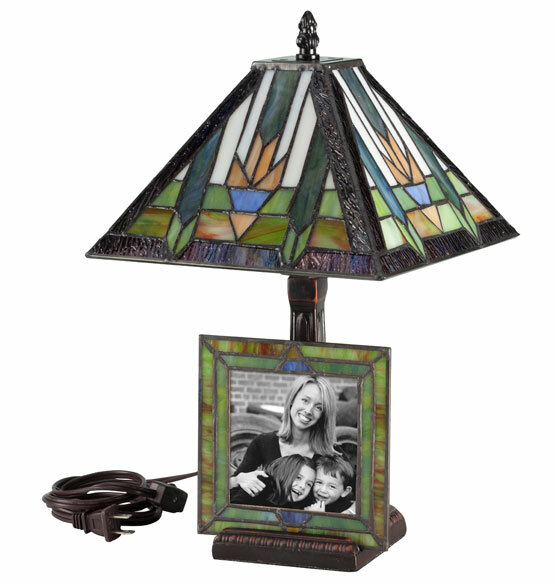 The combination of the stained glass lamp and coordinating picture frame is unique. Beautiful lamp with matching stained glass frame. Excellent value. I've given this lamp twice now as gifts and always receive rave reviews from the recipients. I live in a 1920's house and recently redid my family room in hunter green -- this would look great on my desk!